Your water can be tested for thousands of possible contaminants, elements or agents but only about 100 are covered by the drinking water standards. 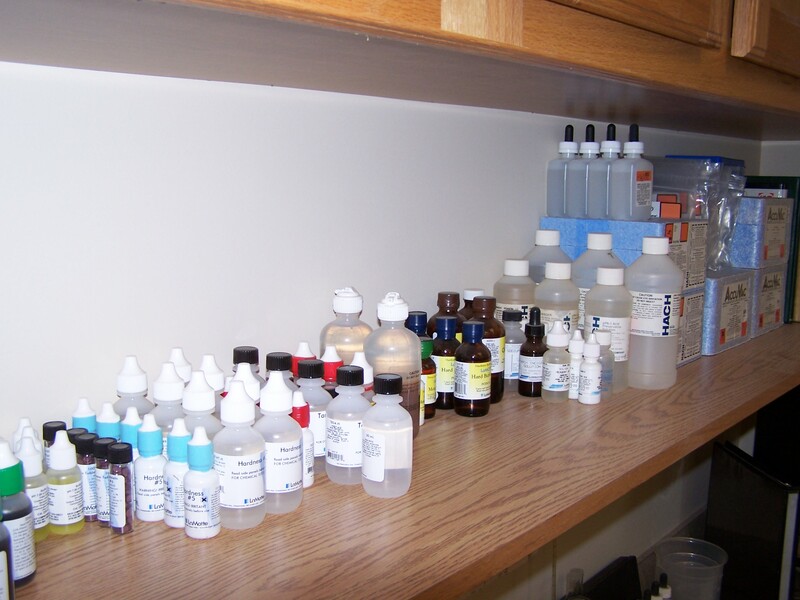 With respect to private wells, the standards can be divided into the following categories: microbiological, inorganics (IOC’s), secondary parameters, volatile organic chemicals (VOC’S), synthetic organic chemicals (SOC’S), and radionuclides, i.e., radioactive substances. 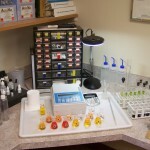 The following speaks specifically to microbiological and secondary parameter testing; the two most necessary and common testing procedures performed by us to confidently alert you to possible unsafe conditions, prescribe, apply and install the correct equipment that directly address your water wells’ offending or unsafe conditions. In short, microbiological screening (same as a well certification test) of water determines the presence or absence of two specific organisms; Total Coliform and e. Coli. 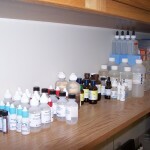 The presence of either organism indicates conditions that could lead to disease and illness concerns for the consumer. More specifically, the water is even more dangerous for the young, old, infirmed or those with immune deficiencies. This is the one test required by the state after the construction of new wells or during property transfers where a private well is the households’ water source. It’s all done with purpose to insure the wellbeing for all those who depend on safe private drinking water. 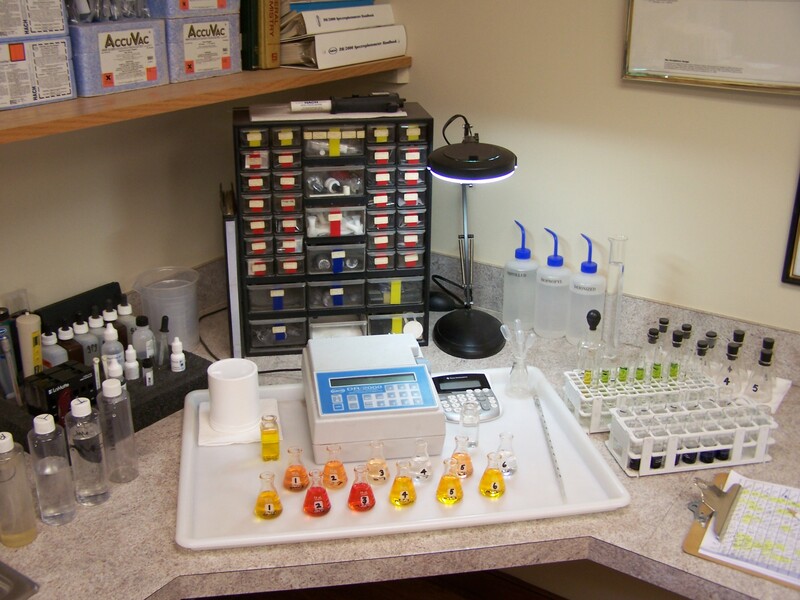 Secondary Parameters are those tested for minerals and water conditions that impact the waters aesthetics. That is to say most anything you can see, smell, feel or taste with respect to your water supply. It is the presence of these secondary contaminants that deteriorate fixtures, appliances and the household plumbing. They cause corrosion, stains, scale, crust, water with color, odor that otherwise degrade and impact the investment in your home, household plumbing, appliances and fixtures. We believe your water should be perfectly safe to drink, have no odor, or taste “funny”, cause stains, scale, crust and the like. To that end, we hope you feel our approach is only thorough, professional and economical. Lastly, and worth remembering, 90% or more of household plumbing problems are caused by water quality conditions. When water is benign and “non-reactive” one can expect many years of service from their plumbing, fixtures and household appliances.